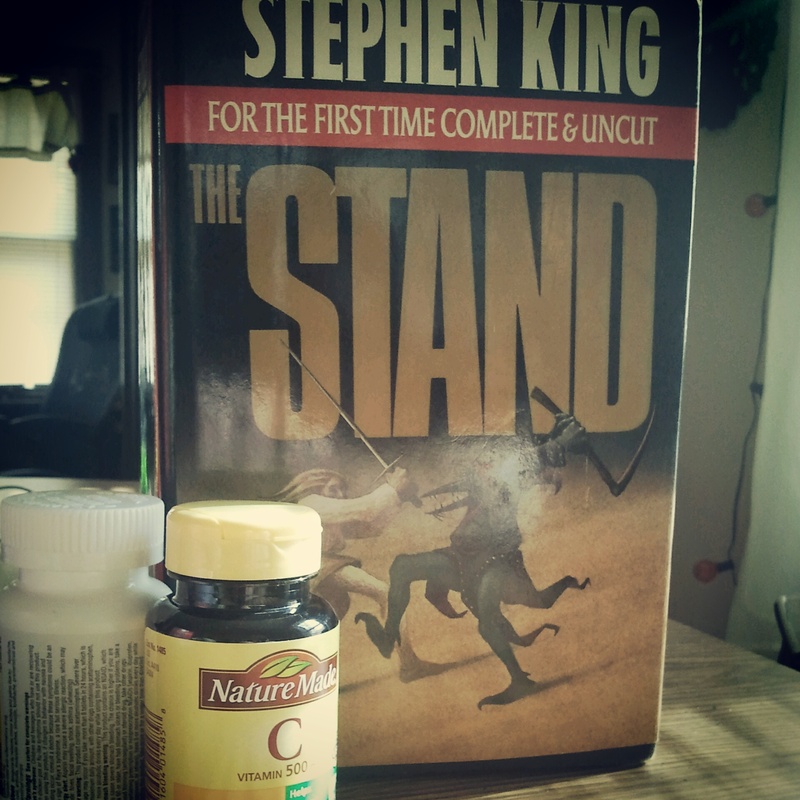 Cold, Flu, and The Stand. Yesterday, I wrote about how Edgar Allan Poe got under my skin during fifth grade. Two years later, Stephen King provided the scares. I had the house to myself after coming home from the season ending pizza party for seventh grade football. We won exactly zero games. My cough was deepening, so I picked up the library book I had checked out and set up with some cough drops and Kleenex to read. As the world sickened I died, I grew sicker. It was like 3D for reading. I read the book for three or four hours without stopping. I went through 17 cough drops and was too hooked to get up and get a glass of water. The pile of Kleenex beside me was half the height of the lamp. If you’ve read The Stand – and you really should have by now – you know there are no zombies in the book. Still, The Stand gave me my first real zombie scares. It painted a picture of a world where corpses outnumbered people 99 to 1. Without society and power, life had to reinvent itself. The biggest difference? The Stand is much more likely to happen than zombie stories. Don’t believe me? Read any medical journal. The message I got from The Stand? Enjoy your hopes and dreams. Just remember, your biology and environment can squash them whenever they choose.